If there was one result in the NFL last week that might have jumped up and bitten either you or your Survivor Pool competitors, it had to be the Detroit Lions going to Tampa Bay and upsetting the Bucs, 23-20, in overtime. It was Detroit’s first road win since Week 8 of the 2007 season, snapping its NFL-record 26-game road losing streak. The Lions also won back-to-back games for the first time since that 2007 season. I’m telling you, they are going to be good next year. And not to toot my horn – which I probably shouldn’t considering I was eliminated from my Survivor Pool a few weeks ago – but I warned you not to take the Bucs last week, especially because Tampa Bay lost two more defensive starters to injury. Maybe there was something in the water in the Sunshine State in Week 15. Because the other fairly big upset of the week was Buffalo winning in Miami to drop the Dolphins to an inexplicable 1-6 at home this season. Only the 2007 Fins have lost more home games in a season. Look for Bill Cowher to be on the Miami sideline next season now, although that’s a story for another day. I did recommend steering clear of the Dolphins last week as well, so hopefully you listened. At this point in the season you are probably down to some very average teams as your best Survivor Pool options; clubs like the Raiders or Titans or Rams. Definitely wait until the last possible minute to make those choices this week because a last-minute injury change – like, say Brett Favre magically playing or Adrian Peterson surprisingly not – can make all the difference. New England (at Buffalo): I’m sure you’ve used New England already, but I think this is the ultimate trap game for the Pats. It’s supposed to snow in Buffalo on Sunday, and in my opinion that type of weather benefits the team that doesn’t have as much talent as its opponent. However, the Pats have been dominant under Tom Brady in wintry weather. But the Bills are playing very hard and you know that they want to end that 14-game losing streak in this series, the longest such current streak in the NFL. Brady hasn't lost to the Bills since the 2003 opener. This will be Buffalo’s Super Bowl for this season and is also its home finale. This might be bit of a letdown for the Pats, who just played playoff-caliber teams in five of the past six games, winning all of them. Dallas (at Arizona): You shouldn’t be taking any road teams this late in the year, needless to say, and I’m sure that Saturday’s game – the NFL starts Saturday games this week – will be at least 50 percent Cowboys fans anyways. And, yes, Dallas has looked good under Jason Garrett, going 4-2 since he took over for Wade Phillips. And, yes, the Cardinals just lost at one-win Carolina for their eighth loss in the past nine games. And, yes, Arizona has scored fewer than 14 points in four of the last five games and again will start rookie QB John Skelton. However, the Dallas offense might not have Roy Williams or Marion Barber and the defense has allowed more than 30 points in its last four games. Plus, it’s Arizona’s home finale so you would think the Cards would give maximum effort. Jacksonville (vs. Washington): I just haven’t been a Jaguars believer all season. Redskins quarterback Rex Grossman showed last week that when “Good Rex” shows up that he does have some talent, throwing four TDs and for more than 320 yards in a loss to Dallas. I think the Jaguars will be deflated after that loss to Indianapolis last week – Jacksonville is still tied with the Colts at 8-6 atop the AFC South, but lost control of its own destiny by losing to Indy. 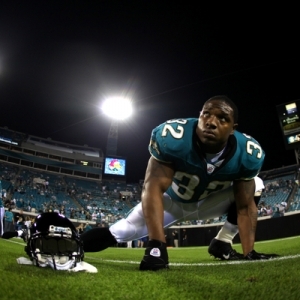 Plus, Maurice Jones-Drew came crashing back to earth last week with just 46 yards rushing. The Skins have lost four in a row, but three were by four points or less. I don’t know, this one’s just a hunch – no real statistical reason to back this one up.